UPDATE: OWNER HAS JUST LOWERED THE PRICE ON THIS GREAT NEARLY NEW HOME BUILT IN 2015! This home features an open kitchen with a large closet pantry, built in oven, large island overlooking the great room, which make the home great for entertaining.There is a bath, extra utility room and lots of closet space downstairs. There is a large bonus room at the top of the stairs that would make a great space for the family to spread out. The Master bedroom is large with an oversized walk-in closet, There are 2 additional bedrooms, a guest bathroom and laundry room upstairs as well. The large back yard has plenty of room to have a inground pool installed for those hot summer days. 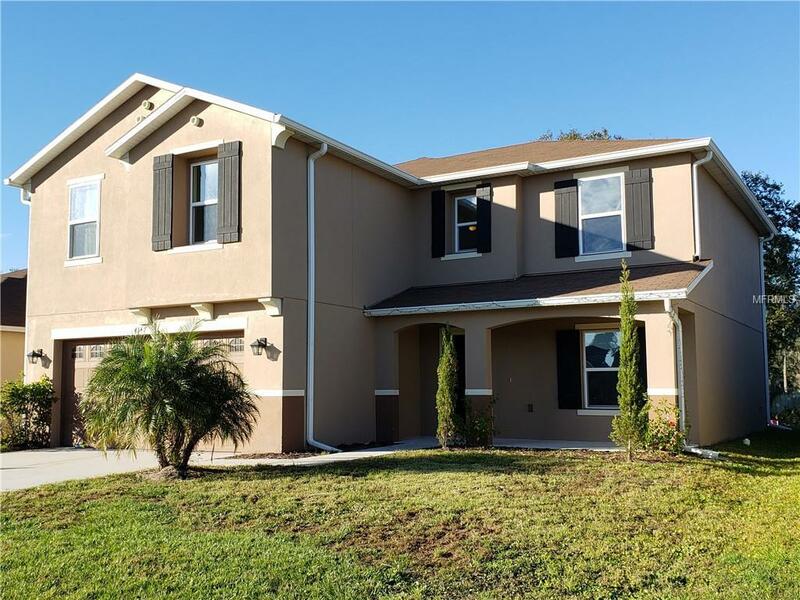 This home is Located near Lakeland Major Employers including Publix, Geico, Amazon, Lakeland Regional Medical Center, and others. Enjoy hiking trails and picnic areas at nearby Alafia River Reserve. Also, convenient to Polk Pkwy. (SR 570), Hwy. 60 and Lakeland Linder Regional Airport, Shopping Centers and much more. So lets make this two-story single family home, your new home. They are very motivated to sell and will look at all offers.